Music of the Soul guides the reader through principles, techniques, and exercises for incorporating music into grief counseling, with the end goal of further empowering the grieving person. Music has a unique ability to elicit a whole range of powerful emotional responses in people – even so far as altering or enhancing one’s mood – as well as physical reactions. This interdisciplinary text draws in equal parts from contemporary grief/loss theory, music therapy research, historical examples of powerful music, case studies, and both self-reflecting and teaching exercises. Music is as much about beginnings as endings, and thus the book moves through life’s losses into its new beginnings, using musical expression to help the bereaved find meaning in loss and hurt, and move forward with their lives. With numerous exercises and examples for implementing the use of music in grief counseling, the book offers a practical and flexible approach to a broad spectrum of mental health practitioners, from thanatologists to hospice staff, at all levels of professional training and settings. 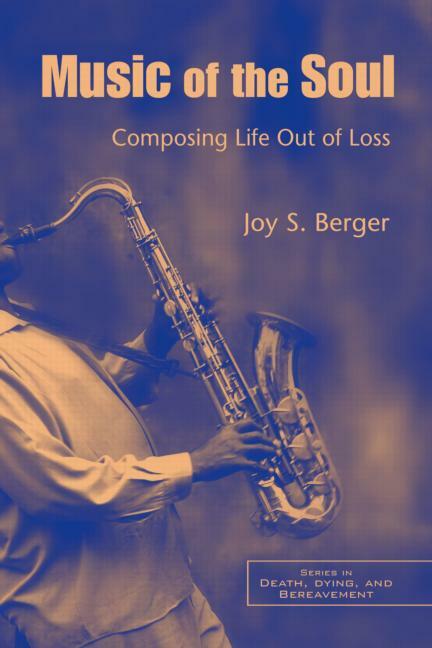 Dr. Berger’s multiple gifts in the fields of music, faith, hospice, and education for health professionals will sensitively enlighten all fortunate to read this book and apply their insights to the best patient care and education available. This is an important book for the field, beautifully written, with powerful and heartfelt content. For all of us who have experienced the deep loss of a loved one or struggled with the darkness of daily despair, this book is a pastoral voice of healing and a reminder of the power of music to transform us in Life’s moments of greatest vulnerability, grief, or intimacy. Here is a book by an authority in the field that answers many questions about healing, grief, using music as a catalyst for facing loss, and many other questions regarding life when we face loss. Dr. Berger is a superb pianist who uses her art to help answer those basic questions.